Success in life and business dealings is not an accident. It is achieved through planning, execution and evaluation. Effective communication requires an appropriate amount of skills, sensitivity, and understanding of the needs of others. Bullies show up in our lives in the form of clients, colleagues, and coworkers. As a culture, we are increasingly aware of the impact of bullies. Bullying behavior complicates effective communication. Everyone has felt bullied at some point in their lives. The bully could be a family member, childhood acquaintance, colleague, employer or client. You know you have been bullied when you felt pressured, demeaned, and angered by the bully’s behavior. This is not a physical feeling but more psychological. You walked away from a negotiation feeling like you lost ground. You gave into the demands and agreed to something that was not in your best interests. You resent the way you feel. We will discuss in the next 29 minutes Strategies for Bullies. Joining us for our discussion on Bullies In Business is Greg who is calling in from his Roselle NJ office. With over 30 years of experience, GREG WILLIAMS, The Master Negotiator & Body Language Expert, is an accomplished author/speaker/trainer recognized worldwide. He is often requested to appear on television to critique the negotiation strategies and hidden body language of politicians, entertainers, and others. 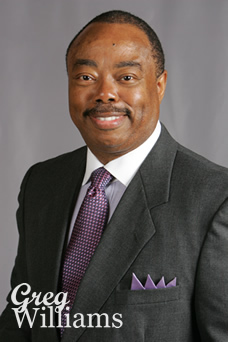 Williams has also advised numerous small and large corporate organizations. 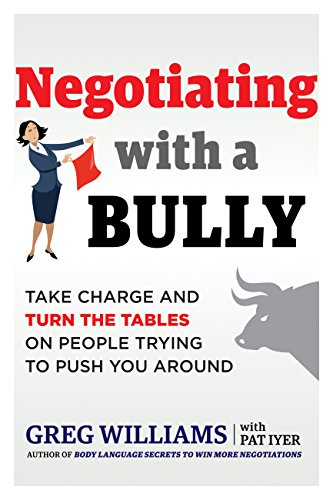 His latest book is Negotiating With A Bully:Take Charge and Turn The Tables On People Trying To Push You Around . Welcome Back To Mastering Your Money, Greg Williams.